In the weeks leading up to this event, I was not in the pink of health. In between work and family related stress, I suffered an entire month of sleep difficulty, an uncontrollable appetite for junk food, and physical pains, such as migraines, diarrhea, and fever. My mental health wasn’t any better; my mind riddled with thoughts of grief and anxieties. I needed a reset, the universe had the answer. One day, I received an invite to join a transformational retreat in Zambales called Back to Basics. I clicked and read the description; I think I found the cure for my month-long malady. What is Back to Basics all about? Who are the organizers of Back to Basics? What activities are involved at Back to Basics? How was the Back to Basics Experience? Is there going to be another Back to Basics retreat in the future? Back to Basics is a health, crafts, and rituals for cleansing travel retreat that aims to help promote a deeper understanding on mind-body-spirit interconnection. It’s the first project of Longer Dawns founded by Faye & Lovey, in collaboration with Hide Out and AbeAbe Yoga. According to Faye & Lovey, the idea to organize this event came about after they joined the Liwa Earth Fest in February. They got into talks with Ian Limbonis, owner of Hide Out who offered his accommodation as the home base for the retreat. “In alignment with our mission and vision, we wanted a gathering that would be parallel to ‘coming home to ourselves’ and there is no better way to do that by first ‘going back to basics’,” Faye & Lovey shared. 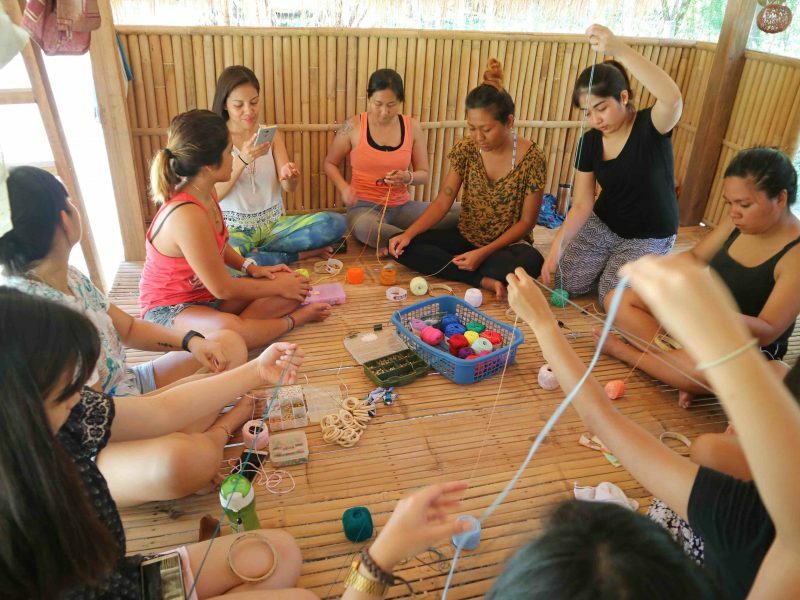 There was a registration fee of ₱5,200 ($97.62) inclusive of a round-trip transportation from Quezon City to Zambales, 3 meals, shared-room accommodation, yoga with free use of mats, guided meditation. Lecture on healthy and vegan lifestyle as well as yoga philosophy, pranayamas, DIY crafts, individual reiki healing session, and beach clean-up. I signed up for the early bird promo and paid only ₱4,900 ($91.99). I first met Lovey in a heritage tour in Kawit, Cavite years before. She, together with her friend, Faye founded Longer Dawns, which they described as an unexpected (super organic!) passion project. The duo goes way back as thesis-mates in a university when they were taking up BA European Languages. Both are French majors. Faye is a French teacher to Filipino high school students and an ESL teacher to French professionals, while Lovey is a French data analyst by mid-day, a writer at late nights until dawn and in between work breaks, and an organizer of writing workshops/poetry exhibits and travel retreats. “We thought it would be nice to do it near the sea or in an environment where you feel bare and stripped off of all your inhibitions, all natural, back to basics. And organically, everything else followed. We suddenly found ourselves organizing/co-creating a wellness and transformational retreat,” said Faye. The two collaborated with Ian and together they shaped the idea of having a wellness retreat that offers Reiki, yoga, and discussions on healthy living. Ian happens to know a person knowledgeable on yoga and a healthy lifestyle, thus introducing the fourth person to join the pool of organizers, Kara Basmayor, a certified yoga teacher. As in any organized event, Faye & Lovey had their share of challenges during the planning stage. Yoga and Meditation – Sunset and sunrise yoga sessions were also part of the main core of the retreat. It was essential in the journey to being in touch with mind and body and spirit. Pranayamas, meditation, and other yoga principles were also infused in the sessions. Reiki – This is part of the main core of the Back to Basics retreat. One-on-one Reiki sessions were offered to each participant for relaxation purposes towards the end of the weekend retreat, enabling a balance in energy chakras which might be blocked. A background of Reiki was also discussed to introduce this type of accessible energy healing practice to more people in the Philippines. Film showing – An environmental documentary called “Cowspiracy” was rolled out, provoking questions on our lifestyles and opening our perspectives on sustainable living in a planet plagued with climate change and rapid growth of population. 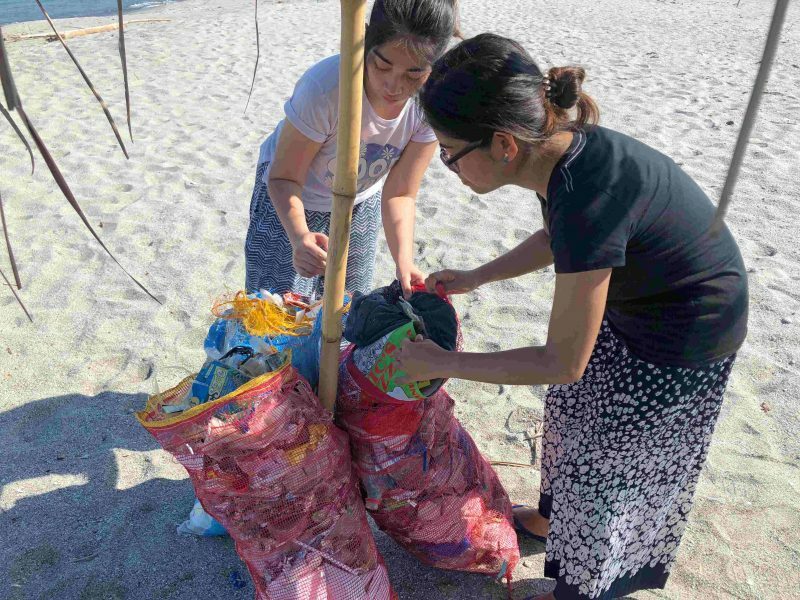 Beach Clean-up – This activity is to create a dynamism in the retreat. It also served as our Karma yoga where we had the chance to show our love for Nature which is giving us so much than we ask for. 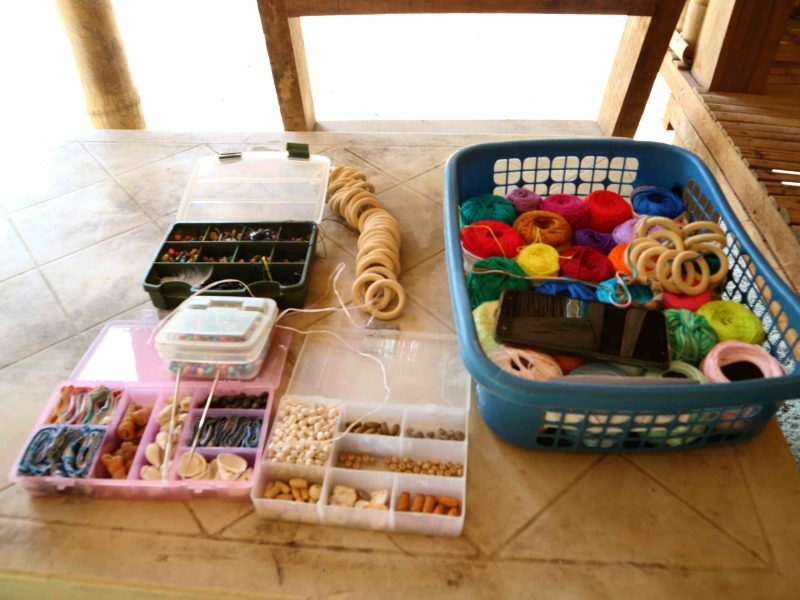 Dreamcatcher making – This is to add a creative blend to the Back to Basics theme. The activity encouraged interaction with fellow participants and organizers and allowed everyone to be “in the flow” of life in a very creative approach. New moon intention ritual – This is to impart a basic yet very helpful ritual in manifesting our desires and tapping our power which can be easily done in a little corner of our home. 12th May, we assembled at our meeting place in Katipunan where I met the other 3 participants and the organizers. 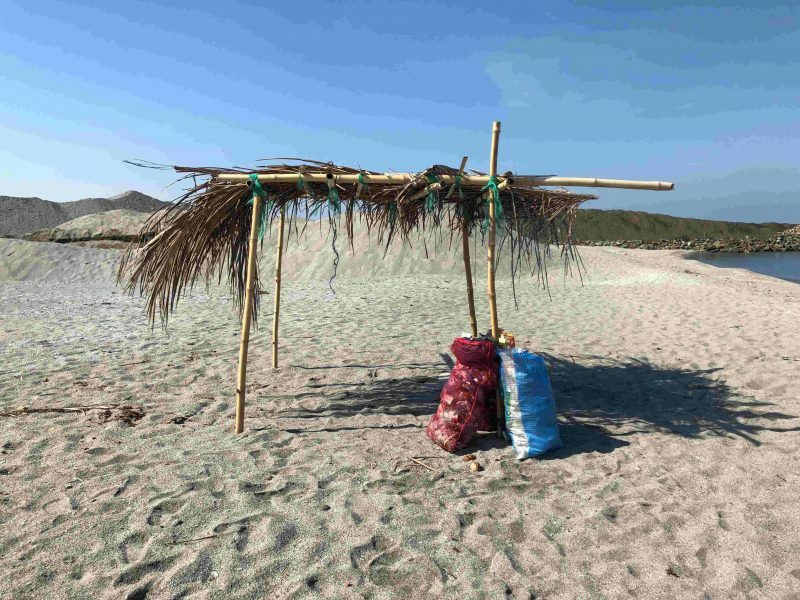 We drove to San Felipe, Zambales in a rented van for 3 hours until we reached our place of accommodation located in a secluded spot in Sitio Liwliwa. Surrounded by nature, a bit far from the beach and away from the rest of the resorts in the area is an accommodation I could only describe as rustic and Arcadian, Hideout. We were greeted by a long-haired woman with a radiant smile and a soft-spoken guy with a deeply tanned skin. Introductions revealed they were Kara and Ian. Years ago I read a book, The Silva Mind Control Method and learned how to properly do a meditation. I have gotten so good at it, I once reached the Tetha stage. Unfortunately, meditation became one of my forgotten or neglected habits as I got too consumed with the daily nuances of life. Knowing the benefits of meditation to my psyche, I was excited to get back to it. Kara led the guided meditation. She asked us to find a spot in which we could rest our backs. In a low soothing voice, she led us to a deep state of relaxation. A few times, she told us to change positions like lying on the bed. When I heard her last instruction, I got slightly confused when I saw everyone in a sitting position. I asked Lovey if they had been lying down, she said that they did, but it seems like I slept. I was like, oops. The most enlightening but unfortunately, my least favorite part of the event is the film showing of a documentary titled, Cowspiracy. It’s a feature-length environmental documentary that follows the investigation of Kip Andersen on the biggest environmental issue the world is facing. The facts that this film is claiming is staggering, the biggest and most controversial of which is that 51% of global greenhouse gas emissions are caused by animal agriculture. I say that this is my least favorite part of the retreat, not because I didn’t like the movie, in fact, I learned so much from it. It’s just that the film ran for 1 hour and 30 minutes and I was in dire need of sleep. The whole time it was playing, I fought so hard to remain awake. Kara provided a lecture on veganism, specifically the diet based on Ayurvedic principles. What you choose to eat significantly affects how you feel or think. She told us about 3 doshas, energies that define every person’s being; Vata, Pitta, and Kapha. It’s possible for a person to possess 2 qualities, as in my case, a Vata-Pitta. You can take an online quiz to determine your dosha here. This year, I became a semi-vegetarian eliminating pork and beef meat from my diet. It’s neither due to an animal advocacy nor a medical condition that requires food restrictions, I honestly just want to start eating healthy. But I haven’t gone fully vegetarian; I couldn’t quit chicken and seafood. That weekend, however, we were fed nothing but vegetarian dishes. Being a fan of spicy and salty food, I found this to be very challenging. While everyone seems to be enjoying their meals, I had to fight down the urge to ask for some condiments. On our second day, I did a little better and managed to enjoy the meals that they served us. We had two beach yogas, a sunset yoga at Liwliwa Beach and a morning yoga at Cabangan Beach with Kara as our yoga instructor. The routines were not as intense as my past yoga experience, the movements and the pacing was slow. It was hard to maintain balance when my feet keep sinking on the sand. Likewise, the beach was busy when we went to Liwliwa that trying to keep in a serene state was a challenge. The yoga in Cabangan beach is a different story. It’s about 20-min away from Liwliwa and it’s not a touristy beach and it’s a site for a quarry. We found a secluded spot where we had the beach all to ourselves. We have gone through the routine smoothly with the sound of the waves for our music. After our yoga at Cabangan Beach, we started doing a beach clean-up. You wouldn’t believe the amount of trash that we picked up for under an hour. There were flip flops, candy wrappers, cigarette butts, plastic bottles and caps, plastic bags, diapers and discarded clothes. It was quite saddening. I just can’t believe how many people can be this undisciplined and disrespectful of the environment. We turned over the sacks of garbage to the municipal hall of San Felipe. 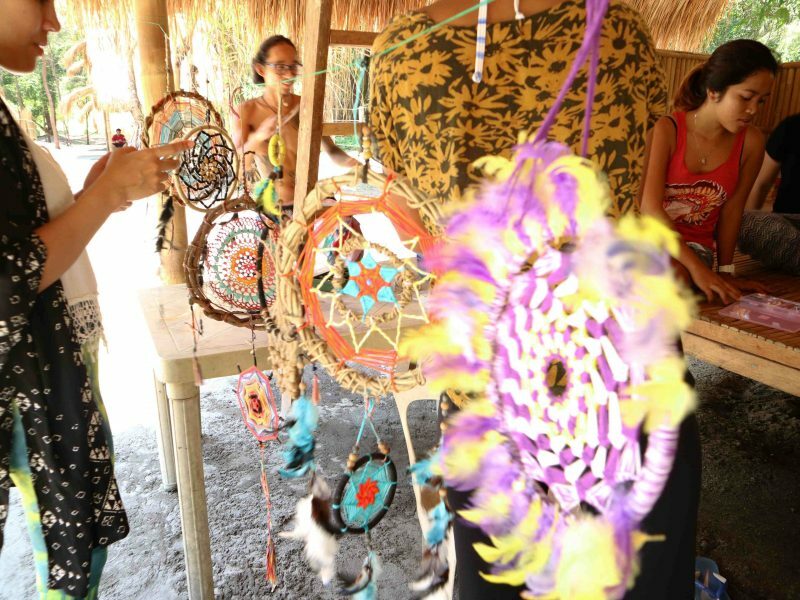 My most favorite activity out of everything that we did is the dreamcatcher making. 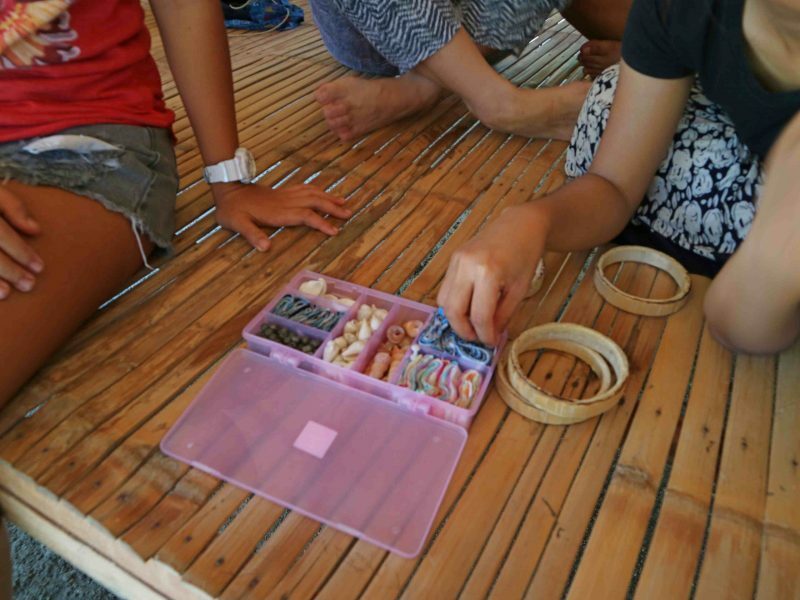 We were taught by Meg Fernandez and Princess Mae Tapec and the materials are provided for. I’d been wanting to learn how to make a dreamcatcher, thus I was looking forward to this activity. Years ago, I spent days on end creating friendship bracelets. The skill that I gained from all those hours spent on knotting threads helped me finish wrapping the hoop with hemp cord in no time. By the way, this activity inspired me to start this small business that I have, called, Marahuyo Accessories. I am now making and selling handmade dreamcatcher earrings and if you want to check out my creations, here’s a link to the Instagram account. Years ago, in the midst of my depression, I consulted a life coach and signed up to her one-on-one sessions. This is how I first learned about and experienced Reiki, a relaxation and stress-reduction technique that originated in Japan. It was my most favorite part of our sessions because the effect is instantaneous. I haven’t taken another Reiki session since then, though I’ve always wanted to. The thing is, the life coaching may have helped me, but it was hella expensive. Faye and Lovey led Reiki, the last activity of the retreat. They are now reiki practitioners after completing their Reiki healing attunement from White Space Body and Mind Wellness Studio. With Reiki, the practitioner rests his/her hands over a person’s body and passes on the energy. The feelings one gets from reiki vary from person to person. With the life coach, I remember a warm, tingly sensation, kind of like a static. With Faye who performed my reiki, I felt completely relax and sleepy. Faye & Lovey answered in the affirmative. They plan to hold it on an island. Likewise, they aim to have talks/discussions, bazaars, and other wellness events in the future. “Actually, one of our long-term goals is to have a wellness center/farm where we can hold retreats/events and where we can serve healthy, organic food, too! Where basically, people can come home to themselves,” shared by Faye & Lovey. Love this post. I remember when I was a vegetarian for 7 years, the hardest was attending parties (and fiesta) in rural areas in the Philippines. There was nothing I could eat, if I am lucky there’s a banana so I always had to bring food with me. I often got teased by friends that there’s grass at the front yard. My conversion to vegetarianism was done slowly, I gave up pork first, then beef, then chicken, the hardest to give up was seafood. It felt good and I sometimes do miss that lifestyle. This is a very interesting retreat. I’d love to take part in something like this. I have always found reiki fascinating. I did a lot of research back in college. 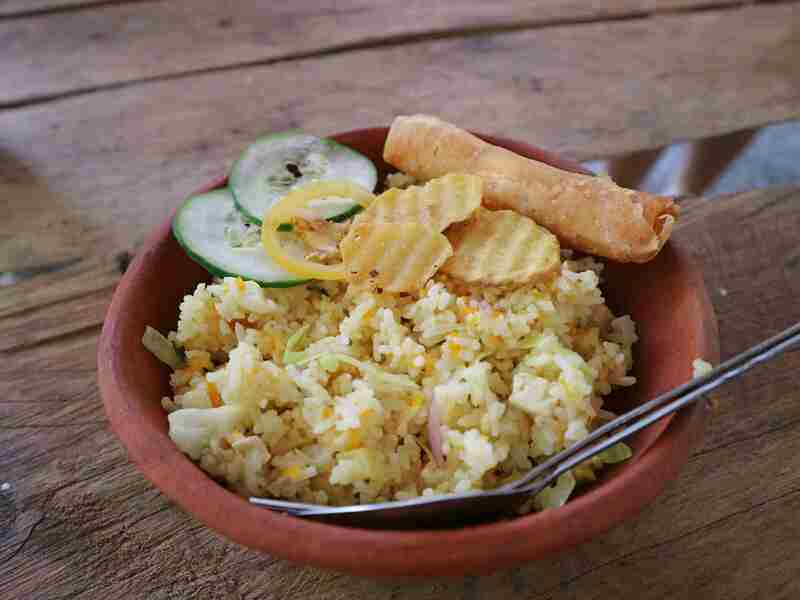 Craft and vegetarian food are close to heart for me. This Welness retreat sounds so holistic. Focussing not only on healthy living, but cleanliness and creativity as well. I would love to sometimes spend some time here . It must be very tranquil and harmonious at the welness retreat I guess.